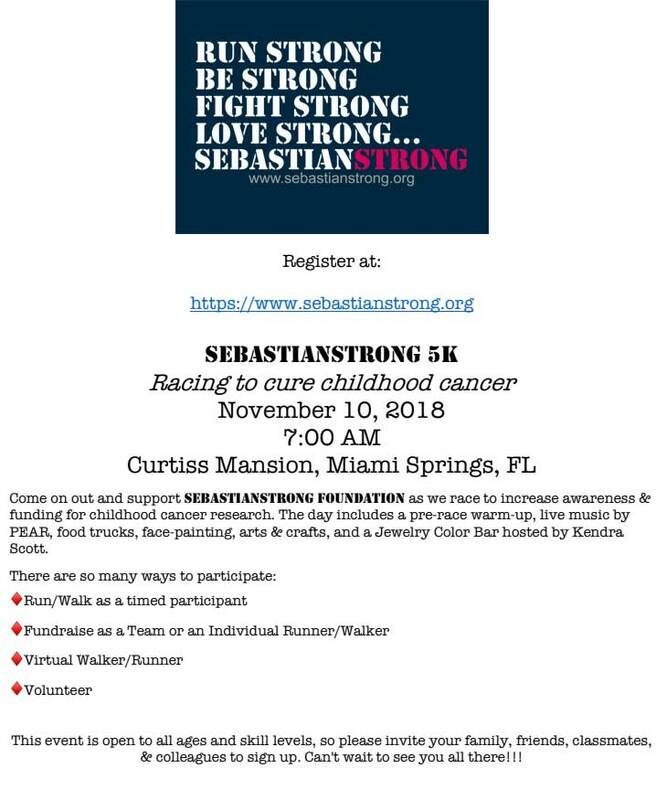 The morning will begin with our 2nd annual 5K Walk/Run in beautiful Miami Springs, FL. Expect food trucks, arts & crafts, and live music. This year’s Gala will be held at the Rubell Family Collection in Wynwood. Come out and enjoy a memorable night with friends. The gala will feature exquisite food, live music, dancing, casino games, a silent auction, open bar, and VIP lounge. Registration details will be available soon. Sponsorship opportunities available now!